Faith based center helps South Dade men recover from drug abuse. 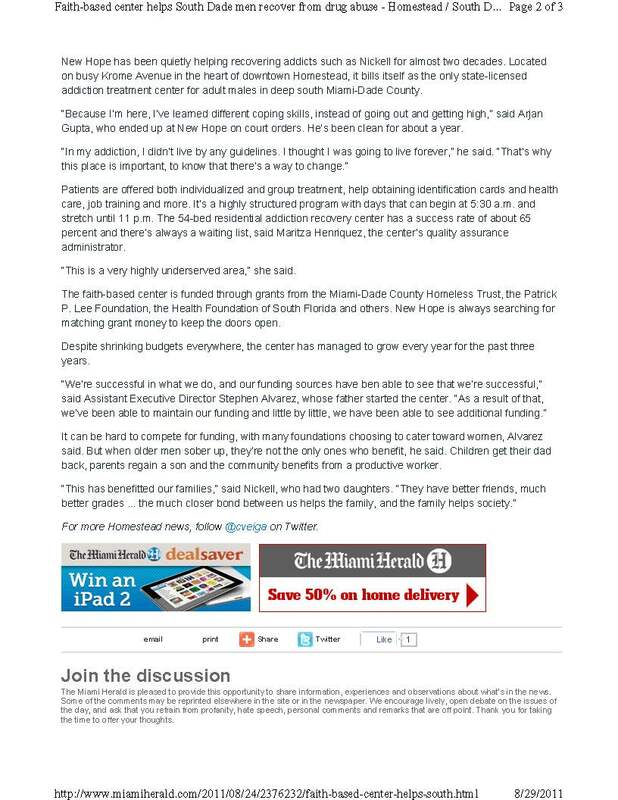 - New Hope CORPS New Hope CORPS Faith based center helps South Dade men recover from drug abuse. - New Hope CORPS | Community based organization provides substance abuse treatment, outpatient and residential, HIV Aids counseling and testing, transitional housing for homeless, prevention and intervention services.